A delicate and ornate 600ml Japanese cast iron teapot. 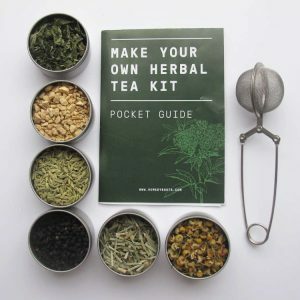 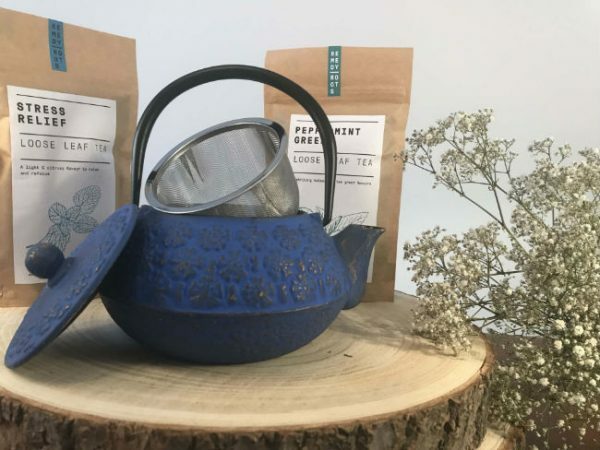 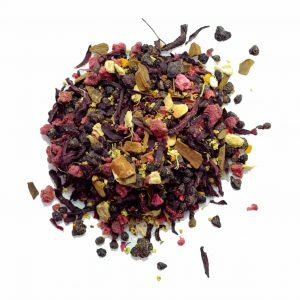 The perfect gift for herbal tea lovers! 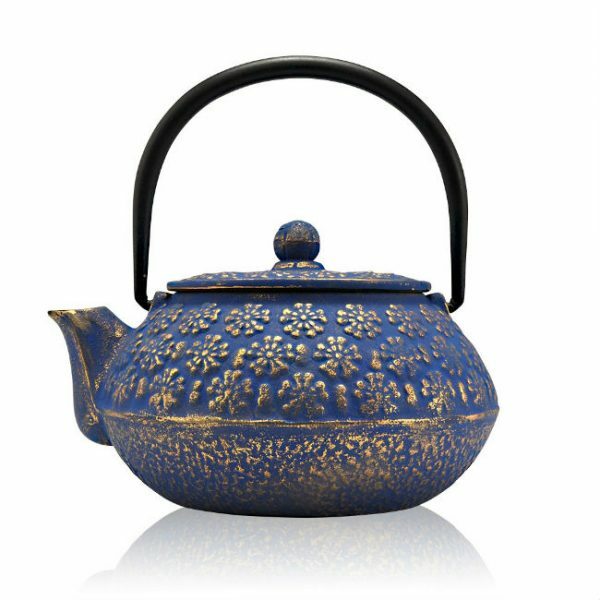 A gorgeous floral design sprayed in gold makes a luxury teapot for loose leaf tea drinkers. 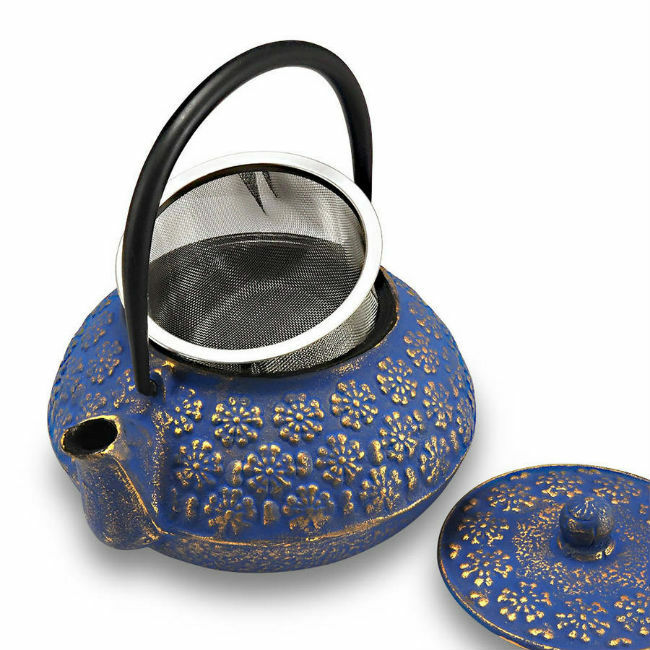 Includes a removable stainless steel mesh infuser. Brew a Herbal Tea Between Friends with a Mizu Teapot.